This week I had the privilege of being interviewed by fellow author Norma Gail. Her questions made me reflect upon my relationship with the Lord and look deeply into the issue of giving everything to Christ. I pray God will help me to live the life He has called me to, and I am praying the same for you. How blessed we are to have our Savior by our side, leading us each step of the way. God is teaching me to keep my eyes on Him and nothing else. He is teaching me to let go of all of my expectations and self-made plans and instead rely on Him. He is building in my heart a desire to find joy in Him alone, not in the fading treasures of this world. I believe He is trying to break through every level of my own selfishness and show me how to live the crucified life. 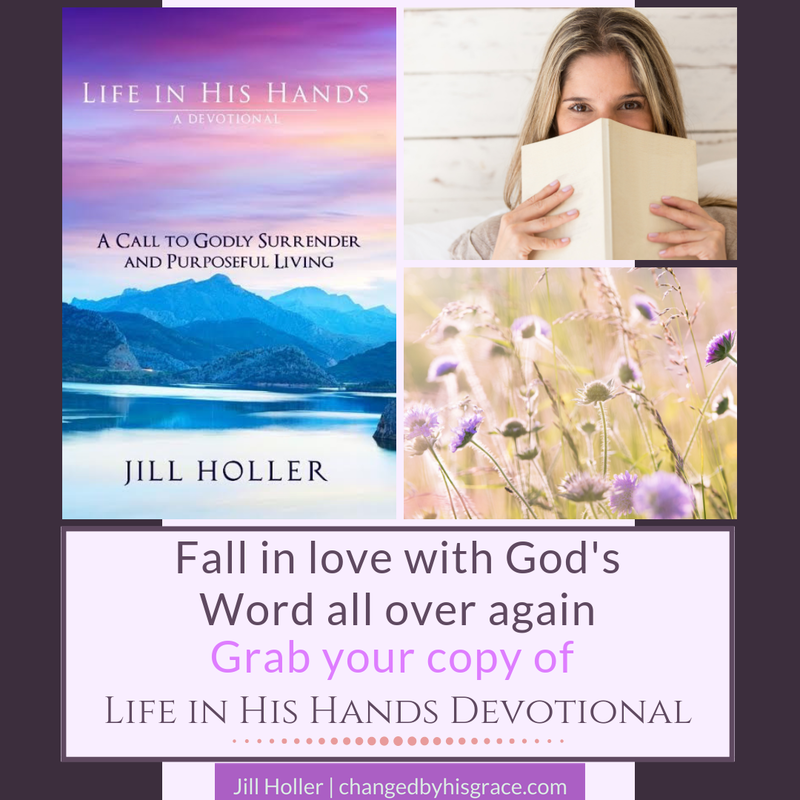 How would you like to inspire your readers with Life in His Hands? I want readers to be drawn to the heart of God. I want them to see that He is our source of true joy, peace, and purpose – that He is the treasure we have always been searching for. I want them to celebrate the fact that our lives are full of purpose when we follow Christ—and there is nothing greater than living for Him.